Managing the risk of chemical residues in stock and stock food is an important component in food safety. The federal, state and territory governments of Australia have a role in this process including on the farm, during processing and at the retail level of food production. NSW Department of Primary Industries participates in several national programs including the National Organochlorine Residue Management program, National Antimicrobial Residue Monitoring program and the random sampling program. 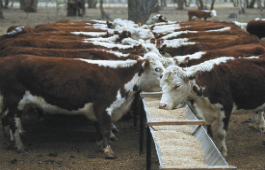 In addition, the NSW government provides support to primary producers and stock food manufacturers to help to minimise the risk of chemicals in locally-produced food from animals. The National TSE Freedom Assurance Program (NTSEFAP) has been developed to prevent TSE entry into Australia. Find out more.